We’re one step close to seeing a new pair of Apple AirPods. And guess what? They might include ‘wellness sensors’. It appears Apple’s new wireless earbuds, the AirPods 2, may already have gone through the mandatory Bluetooth SIG certification and cleared it. 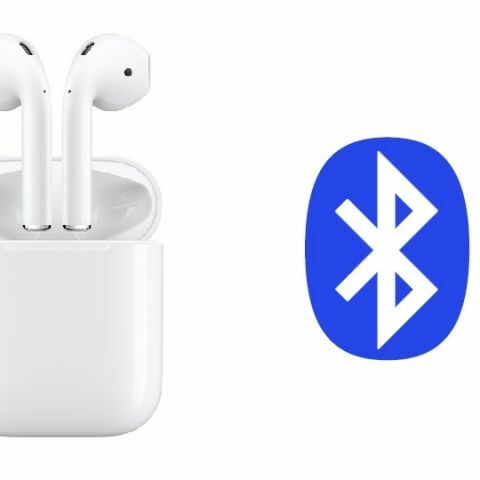 According to a recent report by MySmartPrice, a listing on the Bluetooth SIG website bearing model numbers A2031 and A2032 was filed under the name AirPods by apple.com on November 1. This suggests that the second generation of Apple’s AirPods has cleared the mandatory Bluetooth certification and is one step closer to production and launch. We don’t know for sure if Apple will choose to call the new model AirPods 2, but considering its past nomenclature, it just might. Many reports say that the second-generation AirPods could offer more than just audio, but there’s no solid evidence of that just yet. What we know for sure is that they’ll support Bluetooth 5.0, the latest version of the popular wireless specification. The report from MySmartPrice goes on to say that renewed trademark filings from Hong Kong and Europe were recently discovered, in which new aspects of the Apple EarPods were included—ones that weren’t seen originally when the first AirPods were created by Apple. These updated filings indicate the presence of ‘wellness sensors’ in the second generation of Apple’s AirPods. If this is true, then the AirPods 2 will be able to track health-related parameters of the wearer like body movement and heart rate. The new AirPods will feature handsfree Siri access, according to Ming-Chi Kuo, a reliable Supply Chain Analyst. For all we know, Apple might throw in water resistance as well, something the first-generation AirPods lack. There’s no word yet on the price and availability of the second-generation AirPods. The outgoing model currently sells for Rs 11,990 on Flipkart.